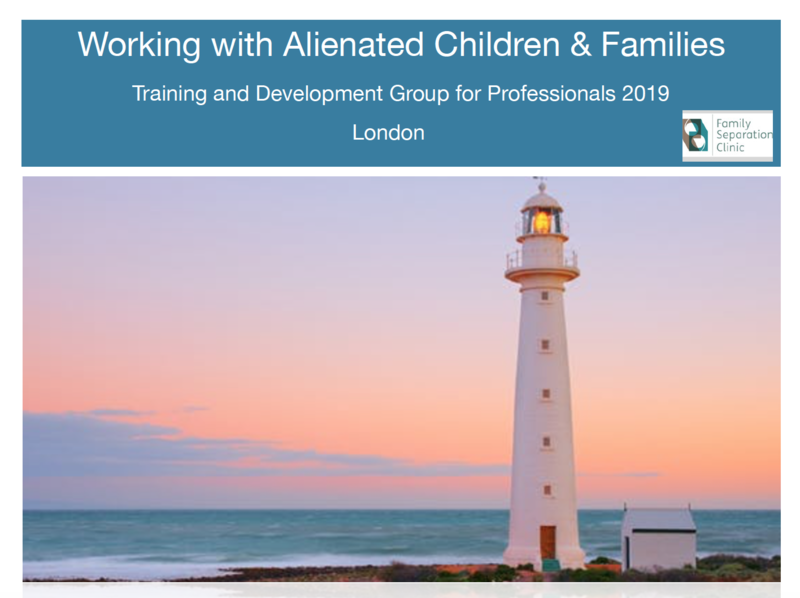 We are convening our 2019 Training and Development Group for professionals in the helping therapies who would like to develop their practice in the field of parental alienation. This is a small training group which is being convened for practitioners in the UK and Europe. The training will be delivered in English and practitioners from Europe are welcome to join. The training comprises of two intensive consecutive days in London and one year of mentoring and group supervision. Our intention is to develop a cohort of practitioners who are working to the standards set by EAPAP as a seed bed for development of a trained workforce capable of using internationally recognised interventions with families affected by parental alienation. Please contact office@familyseparationclinic.co.uk if you are interested in joining us. We have four places still available. The training days will be in April by agreement, weekend training is possible. Hello Karen, are you coming to Bristol area?